I absolutely adore candles and I am sure if you read my blog regularly enough you will have noticed that. For me they present an opportunity to kick back, relax and as the scents and aromas come to life, watching the flame of a lit wick flicker is quite mesmerising. 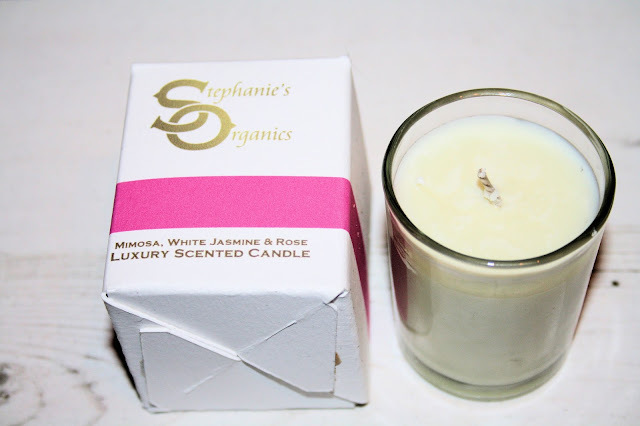 Stephanies Organics is a little independent business who I am glad to be able to bring to the blog. 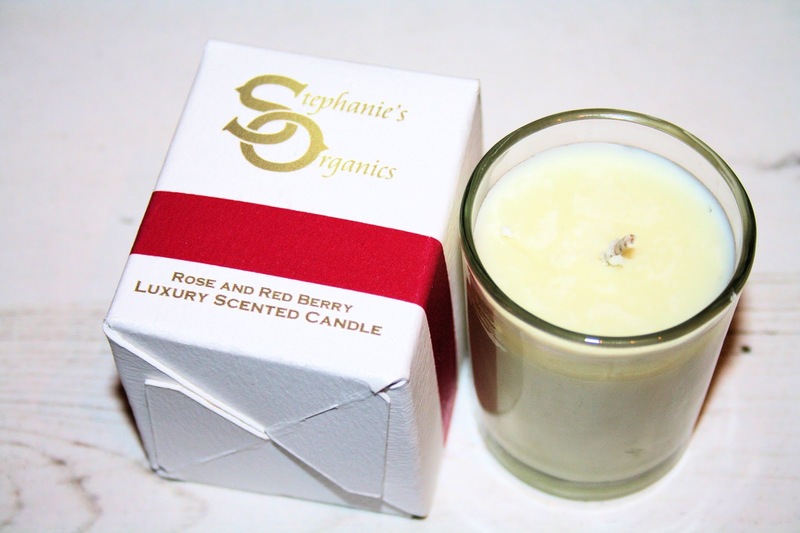 Stephanie kindly sent me 4 of her own hand poured candles to test and try. When they arrived, well packaged in a brown box, I was taken aback by how strong the scent was, a mixture of all four together creating this heavenly, almost spa-like scent. Opening the box, that scent intensified and I just wanted to light them there and then. 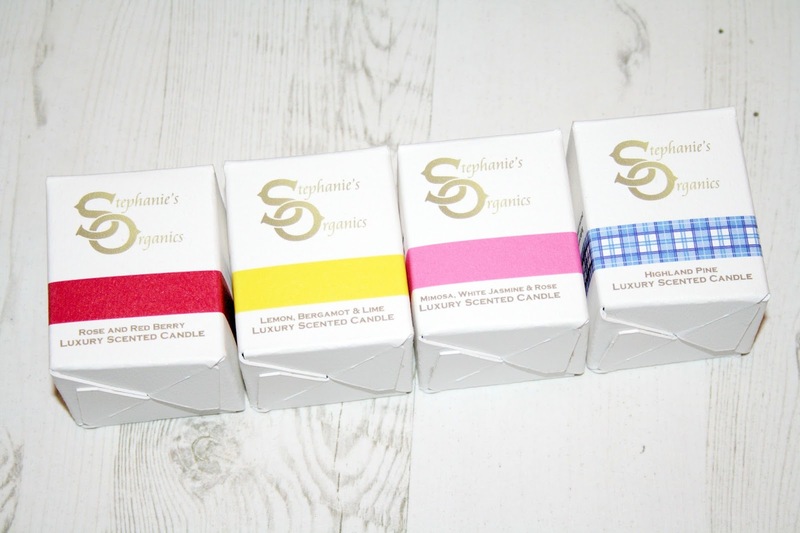 Stephanie herself describes her range as follows: "Each fragrance has been developed with serenity in mind; escape to an oasis of calm, with the opulent, warmth & richness of Stephanie’s Organics. Stephanie’s Organics incorporates sophistication with indulgence and sustainability: a stylish addition to any home, or present for that special someone". The collection which contains no paraffin is made from the finest quality essential oils, sustainably sourced soy wax, cotton wicks, and premium and recycled packaging come in four fragrances: Lemon, Bergamot & Lime, Mimosa, White Jasmine & Rose, Rose & Red Berry and Highland Pine. Each scent, as you can see, has a different banding on the box so you can identify which one is which. I have found it really hard to pick a favourite candle. Each one is totally different and has a scent just as you imagined it to be. Lemon, Bergamot and Lime is a really sharp fresh scent, naturally citrusy and was iInspired by the wonders of Italy when creating this beautifully clean, citrus-fresh Lemon, Bergamot and Lime fragrance. The description as follows "Zesty, vibrant top notes of Lemon, Lime and orange are wrapped with the heart notes of crisp fresh basil and the base notes of cedar, patchouli and Vetivert add a warmth to give an uplifting, contemporary fragrance. Highland Pine was a scent I wasn't sure what to expect. Described as being a Clean and invigorating Scottish Pine, Eucalyptus and Galbanum to instantly soothe and calm, evoking the essence of fresh air in the breathtakingly beautiful Scottish countryside. So with this candle, Stephanie has utilised upon the essence of unique Scottish ingredients. With top notes of Scottish Pine, Eucalyptus as mentioned, the heart notes of Cypress and Lavandin which add a slightly earthy tone but the deeper woody base notes of Cedarwood, Amyris and Olibanum are just incredible. Rose and Red Berry is a scent which can only be described as elegant and if you love a fruity floral then this is definitely for you. The final candle if Mimosa, White Jasmine and Rose and quite a romantic sounding candle with those three. I am a huge fan of anything Jasmine, it is such an amazing scent and for me, this candle is truly stunning. Starting with top notes of both Rose and Jasmine, the floral notes compliment one another as crushed violet, Lemon and Bergamot, as the middle notes create a clean scent with a bit of twist because in coming next are Cedar and Beeswax as base notes to add depth and a slight sweetness to what has so far been a beautiful fresh scent. What I love about these candles is that they are not only incredibly scented on their own, but you can mix two, three or even all of them together at once to create this amazingly fresh, vibrant scent and you only need to burn them for a few hours and that scent drifts right around the home filling each room. Each of these candles has a burn time of approximately 15 hours which is also really impressive. A 220g Candle with a burn time of 45-hour burn is priced at just £28. If you love candles and likes the sound of these candles, then please go and visit Stephanie right here on her Facebook page to learn more about the brand. The white jasmine with rose would probably be my favorite. It looks like a great collection of candles. 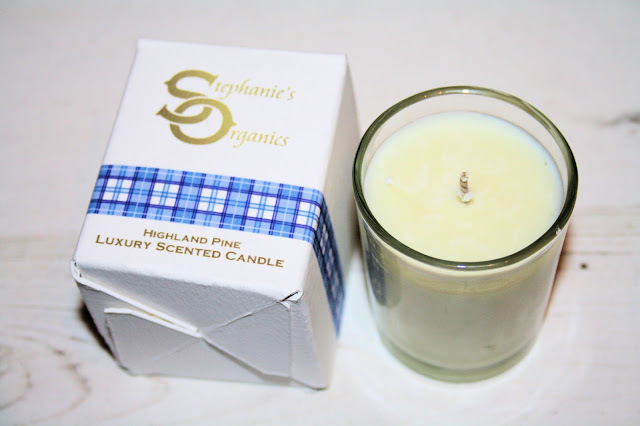 I adore candles and the Highland Pine sounds fantastic. The rose one is one my mum might like too so it may be added to her mothers day present. I love candles and these looks amazing, I love that they don't contain any parafine. I would probably want to have the Mimosa, White Jasmine and Rose, or all of them! Great review! 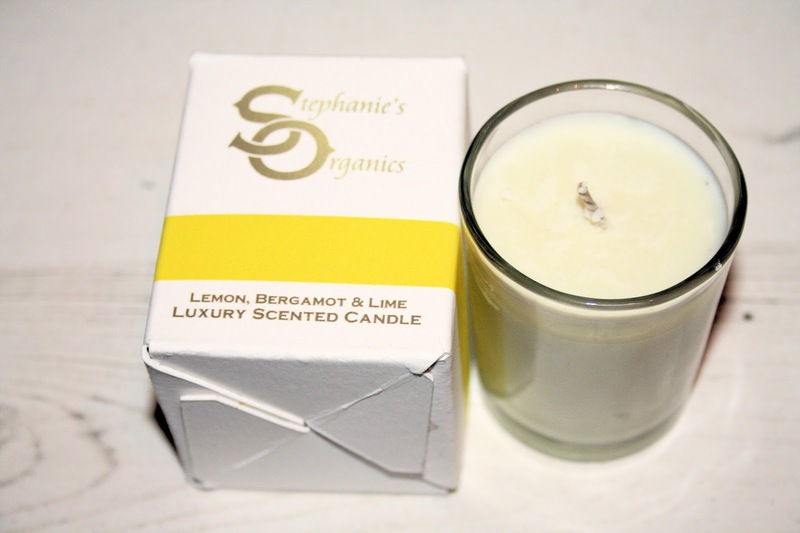 The lemon, bergamot and lime sounds amazing!! Would definitely love that! I'm slightly obsessed with candles at the moment, there's something about having a few lit in the evening. The mimosa, white jasmine and rose one would likely be a favourite for me I think. My mom was a huge fan of this kind of candles and that smell was relaxing for me.